ABINGTON ORAL AND MAXILLOFACIAL SURGERY, P.C. Welcome to our office and thank you for allowing us to treat you as a patient. 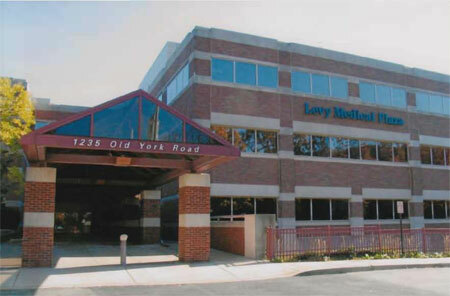 We are located in the Levy Medical Plaza at Abington Hospital, Jefferson Health and offer a new contemporary office setting with the latest technological advances. We schedule our appointments individually and make you the most important person in our office during your visit with us. A consultation may be arranged where your prospective surgery and anesthesia options are discussed. Great attention will then be given to your surgical care and post-operative course. We will be happy to answer any questions you have regarding oral and maxillofacial surgery, office policies and insurance. We look forward to your appointment. Please call if we can be of further assistance. If you are a new patient to our office, kindly print and complete the patient information forms to bring to your initial visit. Also remember to bring medical and dental insurance cards as well as any x-rays or referral notes from your referring doctor. Oral and Maxillofacial Surgery is a recognized specialty of the dental profession, encompassing the diagnosis and treatment of conditions involving the mouth, teeth, and jaws. An oral and maxillofacial surgeon is a specialist whose knowledge is built on the firmest of foundations -four years of dental education plus four or more years of in-hospital surgical residency training. We perform numerous services such as extractions and the removal of impacted wisdom teeth, insertion of dental implants, the diagnosis and treatment of oral diseases and the treatment of traumatic injuries and malformations of the jaw and face.